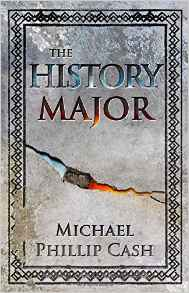 In this novella Michael wove significant points in history with the elements of the world today. The characters are complex and flawed at the same time . Amanda is your typical college freshman who is like every teenager . She has her problems but when she is thrown into a class that she didn't take she works hard on trying to figure everything out . You see you go from brat to a fighter and you see her grow up as hard things from her past come back . All the supporting characters play a big part on how Amanda grows .